What do Hanoians usually do on weekends? Meet friends for coffee? Go to the cinema? Visit their hometowns perhaps? Well, last Saturday, 6 April 2019, a group of 80 environmentally-conscious locals gathered for an ecobrick workshop hosted by GROUND Asia and Make It Happen entitled ‘From Plastic to Ecobricks’ at UP Coworking Space’s Creative Lab in Hanoi. Ecobricks are single-use plastic bottles filled with other single-use plastics. They are packed to a set density which allows them to be used to make modular furniture, garden spaces and even full-scale buildings. The aim is to contain as much toxic plastic in a single bottle, thus minimising the number of plastics ending up in our rivers, landfill sites and environment. These ecobricks are not new to Hanoi – indeed many people have been making these by filling single-use plastic bottles with plastic waste such as bags, polystyrene and food packaging, for a couple of years. This event was unusual however in that it was the first time that many new and experienced ecobrickers got together and learnt the essential basics that are required to make strong ecobricks suitable for building safe and long-lasting structures. The motivation for running the event came from the projects GROUND Asia run across Asia with communities that are directly impacted by plastic pollution in dump sites and rivers across the continent. The ecobricks created provide a solution for utilising plastics in a way that doesn’t harm the environment, and will be used in a community project in Mai Chau, where they have been running sustainable development projects for a few years. The workshop began with an introduction about why plastic pollution is a pressing issue in Hanoi and the world at large. There were discussions with people of all ages and backgrounds, with children as young as four years old actively contributing by answering questions about the impact that plastic has on Hanoi. These discussions were followed by demonstrations of how to make ecobricks before people started making their own with the plastic that they had been collecting in preparation for the event. Help was at hand to make sure the ecobricks would be strong enough for building structures for a community project that they would be used for. The event concluded with a quiz about the problems of plastic, highlighting some of the unexpected places (such as clothes, chewing gum and cigarettes) where participants were surprised at the extent to which plastic has taken over modern life. “Realizing that there are not enough opportunities to raise public’s awareness on the environment but so much demand for people to do something meaningful in their spare time, and with plastic pollution being such a big problem in Vietnam, Make It Happen team were keen to get involved” said Minh Hien, founder of Make It Happen. UP Coworking Space, who are keen to develop an environmentally aware entrepreneurial ecosystem in Vietnam, hosted the event. “In parallel to economic development for UP’s entrepreneurial ecosystem, we want to create a healthy and green working environment for our members. We have organized numerous events promoting this new ‘art de vivre’ and this partnership with GROUND Asia is an action towards the goal for the environment that UP wants to build this year” said Ngô Thiên Ngân of UP Coworking Space. 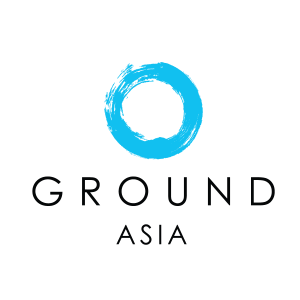 For more information about these ecobrick events, projects, and to find out how you could get involved, visit the GROUND Asia website or contact Jayni Gudka, Assistant General Manager of GROUND Asia at: jayni@groundasia.com.